Damn you for existing transmogrification. You’ve ruining my poor inventory and only getting worse. My current bank is packed to the gills with so much junk that i don’t want to toss, as well as follower upgrades and armor tokens. It’s a disaster zone that’s not going to get fixed any time soon. I suppose i could get some temporary relief by upgrading some of my bag sizes but that won’t fix anything long term. If anything, that’ll just give me more reasons to hoard more stuff. A never ending cycle. The answer should have been Void Storage. Well, that didn’t really work out as well as i had hoped either. Allowing for only two tabs is borderline criminal for any collector of transmogs. Both of mine are obviously filled to the brim with a bunch more items just sitting in my actual bags. I have nowhere to put them anymore! Tossing anything is out of the question. That’s not something i could do. 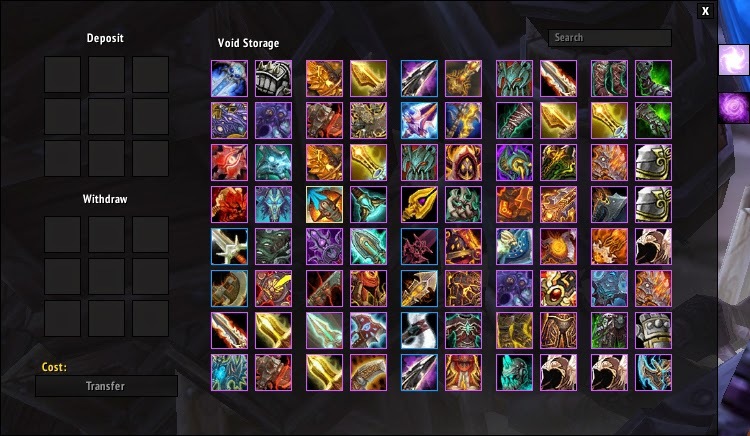 Off topic but, i would love some sort of Void Storage addon that would allow me to sort my sets in separate tabs so i could organize everything. Something similar to what some of the bag addons do. 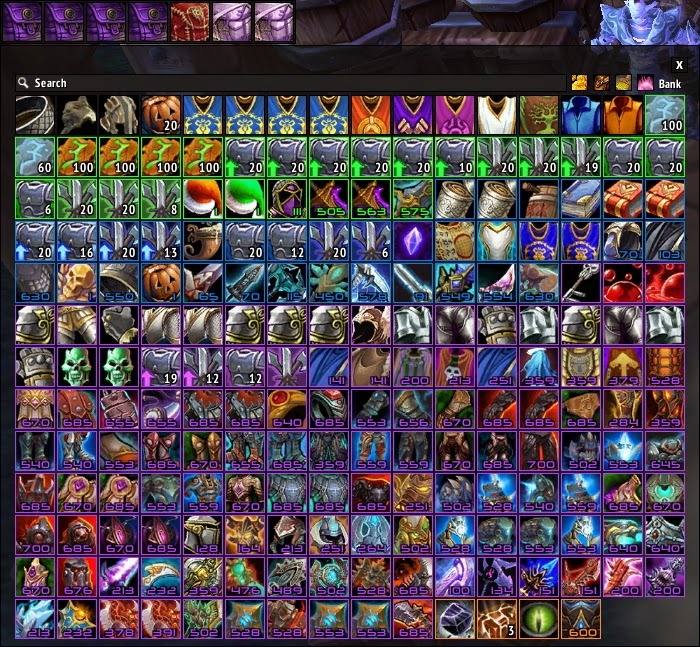 No one tell Blizzard they could probably put extra Void Storage tabs in a cash shop because that would just kill me. I’d have to buy them all and them some. I could just imagine ten tabs of storage goodness waiting for me to fill them up. Knowing myself, i’m sure that wouldn’t take very long.